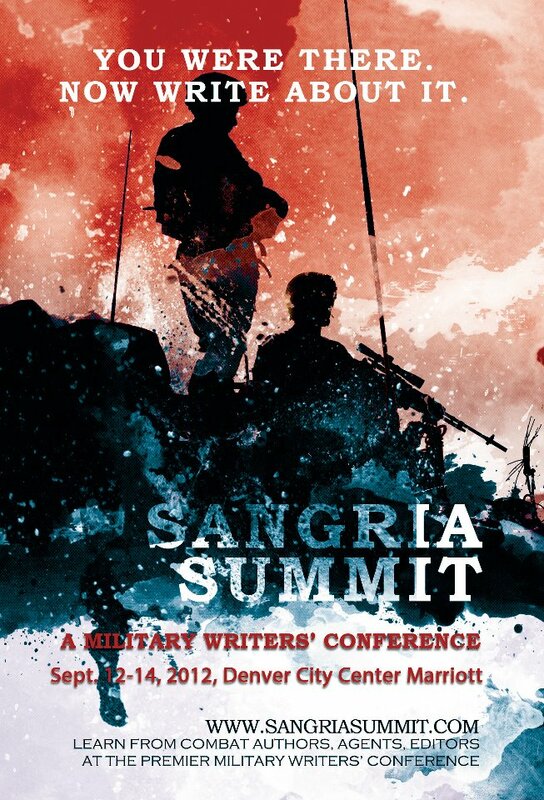 Writers with interests toward publishing military-themed works of fiction, non-fiction, and poetry are invited to the inaugural "Sangria Summit: A Military Writers' Conference" Sept. 12-14, 2012, at the Marriott City Center, Denver, Colo. The event is sponsored by Victor Ian LLC, a military media and gaming business. The business publishes Lanterloon, an eclectic lifestyle, technology, and military blog; and has a physical storefront called "Dragons and Dragoons" located in Colorado Springs, Colo.
Bloggers and brothers James and William Burns are co-founders of the event. "I have an interest in creative writing," says James Burns. "Our game store customer base is largely military. Fort Carson is right next to us. The effort to know my customer led me to Carl Prine [Until recently, the blogger at "Line of Departure"] and Isaac Cubillos. I wanted to do something to help." 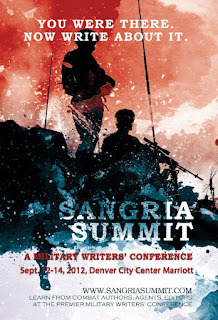 Lanterloon editor Isaac Cubillos, author of the Military Reporters Stylebook and Reference Guide , is serving as the Sangria Summit conference director. “Just as there was an explosion of successful writers after World War II who wrote about the war, there are thousands of stories to be told by a new crop of writers after 10 years of fighting the War on Terror,” says Cubillos. “Today there are many avenues available along with the traditional hard-cover book publishers." "We hope to help in the development of a new generation of writers who could be the next Tom Clancy ('The Hunt for Red October'), Wiliam Manchester ('Goodbye, Darkness: A Memoir of the Pacific War' ), or another best-selling author like Chris Kyle ('American Sniper: The Autobiography of the Most Lethal Sniper in U.S. Military History' )," he says. Cost for the 2-day conference is $225. An early bird rate of $195 is available until Sept. 9. 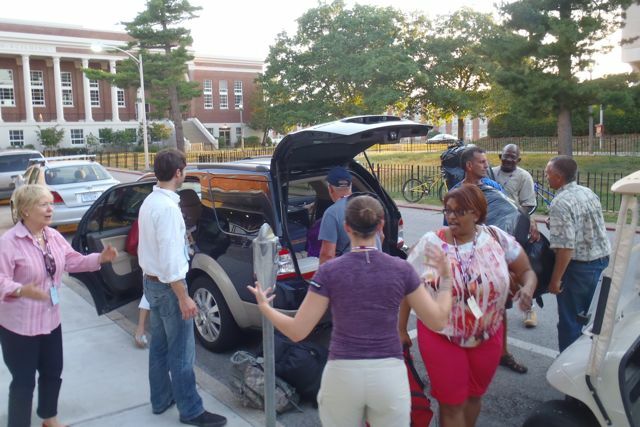 Registration includes all agenda material, special handouts, books, and lunch on Thurs., Sept. 13 and Fri., Sept. 14. The Marriott City Center offers a group rate of $179 per night. The conference will begin with an informal reception at the Denver Press Club from 6 to 9 p.m., Sept. 12. For more event registration details, click here. Mark Coker , founder of e-publisher Smashwords. New York Times Best Seller author Bob Mayer , CEO of Who Dares Wins Publishing. New York Times Best Seller author Caitlin Rother . USA Today reporter and Army veteran Kelly Kennedy, author of "They Fought for Each Other: The Triumph and Tragedy of the Hardest Hit Unit in Iraq." John Holmes, creator of the "PowerPoint Ranger" web comic. Additional presenters are pending. A list of speakers at the conference is maintained here. Several book agents and editors will be on hand to critique works of aspiring authors, as well. According to organizers, there will be sufficient time to meet other authors and spend time talking about writing during the conference. A Facebook page for the event can be found here. Friend of Red Bull Rising and fellow mil-blogger Kanani Fong ("The Kitchen Dispatch") has posted an essay regarding the how and why of writing conferences here. "People here need to realize they're not in the military anymore. They don't have to go to every class. They can give themselves space and time, if they need it," says Vera Roddy. Roddy is Air Force veteran from Wisconsin. Her Desert Storm battle-buddy's last name is Wild, so they refer to themselves as Rowdy and Wild. Rowdy's the only one who shows up to my second class—I'm teaching a basic course on mil-blogging—and doesn't even think she's in the right place. I put away the PowerPoint, and instead we compare notes. In a place like this, every conversation is a gift. The Fourth of July has fallen on hump day, a Wednesday, a middle of the week kick-off to three days on the Richmond, Kent. 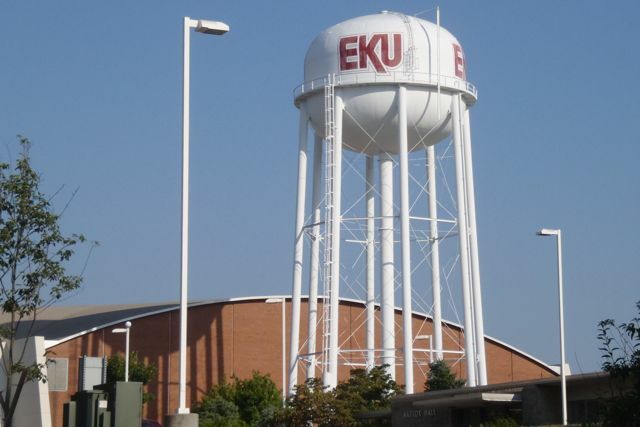 campus of Eastern Kentucky University. 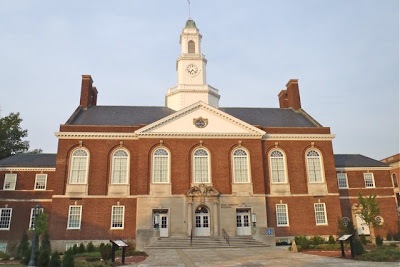 (Home of the Colonels!) The event takes place for three days from July 5 to July 7. Approximately 100 military veterans and activists, writers and poets, visual and performance artists have come together for the inaugural Military Experience and the Arts Symposium (M.E.A.S.). The low-key, communal nature of the event is no accident. We have three squares. 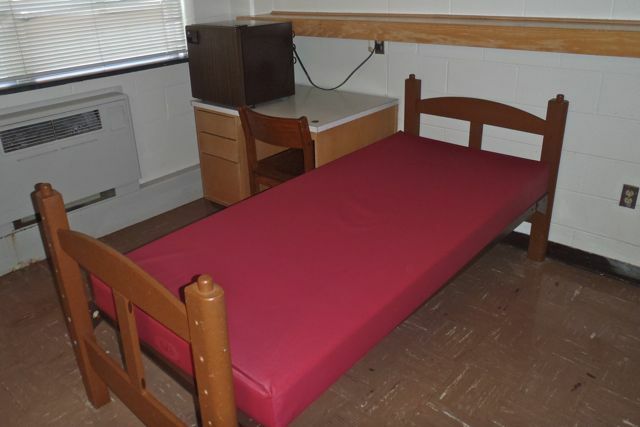 We have cots and roommates. We have hot or cold running water, although never at the same time. The vibe is part summer camp, part boot camp, and part workshop. Three days of presentations and performances, classes and conversations. By the end of the week, insights and observations litter the floors like spent cartridges, and my go-to-war notebook is in tatters. I meet Ryan Koch, a student and freelance writer from Eastern Iowa. He first joined the Iowa Army National Guard as part of the 1st Battalion, 168th Infantry Regiment (1-168th Inf. )—a 34th Infantry "Red Bull" Division unit—before he went active-duty and found himself in the 101st Airborne Division. He chats up my patch, and I chat up his. 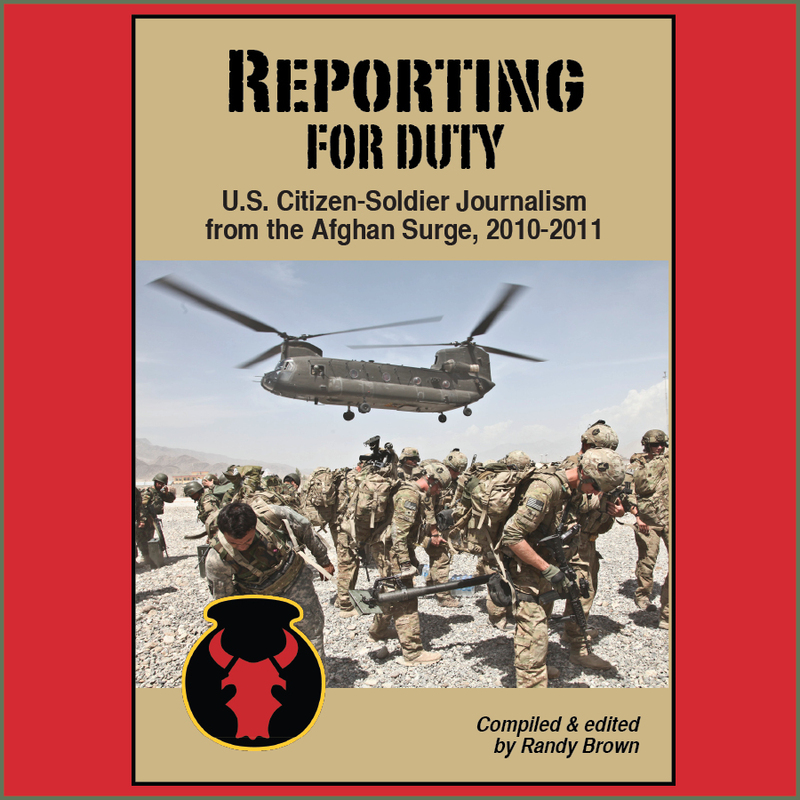 He was in Afghanistan the same time as the Red Bull in 2010-2011, and tells the story of encountering a few National Guard buddies while downrange. Big world, small Army. 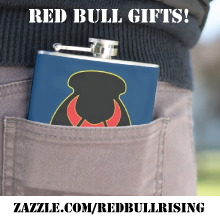 I meet Suzanne Asher, executive director of Veterans in the Arts, a St. Paul-Minnesota-based (that's also Red Bull territory) non-profit looking to connect veterans with fine-arts practitioners. One of their objectives: To enable and empower art that's informed by war, but not necessarily formed by it. One idea I cheekily half-pitch to them? Underwrite a poet laureate or artist-in-residence position for the Minnesota National Guard. I'll volunteer to cover down on Iowa. 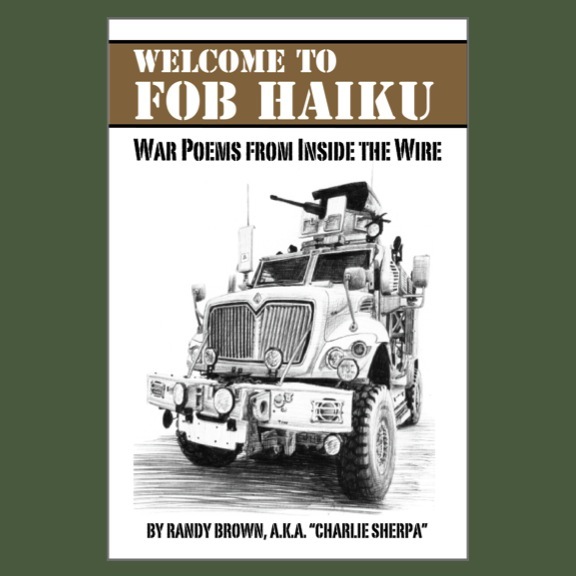 And Jason Poudrier—OIF veteran, high-school teacher, and cuttingly funny war poet—can cover Oklahoma. I meet Ted Englemann, a writer, photographer, and itinerant educator, who's spent the past 30 years negotiating the spaces among the United States, Korea, Australia, and Viet Nam. ("'Vietnam' is a war," he says, "'Viet Nam' is a country.") His passion is called "One Soldier's Heart." He calls Denver, Colo. a home base, because he rents a storage facility there. During chow one night, we learn that we have traveled similar paths in Afghanistan. I meet Scott Lee, who drove a Bradley in Desert Storm and now drives a blog about living with Post-Traumatic Stress Disorder (P.T.S.D.). By the end of the conference, he has connected with Clayton Murwin, a Virginia-based graphic artist, editor, and founder of the non-profit Heroes Fallen Studio Inc. Their potential collaboration? A comic-strip based on Lee's attempt to train his dog as a service-animal. In a workshop regarding descriptive techniques, Joshua Bernstein drills attendees on sense-memories from their times in the military. What are the smells, the tastes, the sounds you associate with war? Diesel and excrement rank high on our lists, as do chopper blades and rubber steaks. "It's amazing, but even with the Internet and people on the moon, how unchanged the experience of using an entrenching tool is—or carrying a rucksack," Berenstein observes. Among veterans, even the unfamiliar sounds familiar. Experiences cross borders. Bernstein, for example, served in the Israeli Defense Forces (I.D.F.). When he says "gunfire sounds totally different when heard in a foreign country," heads around the room nod north and south. An evening's performance by Roman Baca's Exit12 ballet troupe explores themes of identity, revolution, and homecoming. The dancers move in ways familiar to any soldier. Baca's choreography is peppered with a military vocabulary of movement: A low-crawl ... someone taking a knee ... the hands-on-body technique we use to search our prisoners. I will never again view drill and ceremony in quite the same way. Eastern Kentucky University instructor of English Jacqueline Kohl issues her workshop a point-by-point checklist for finalizing a manuscript. 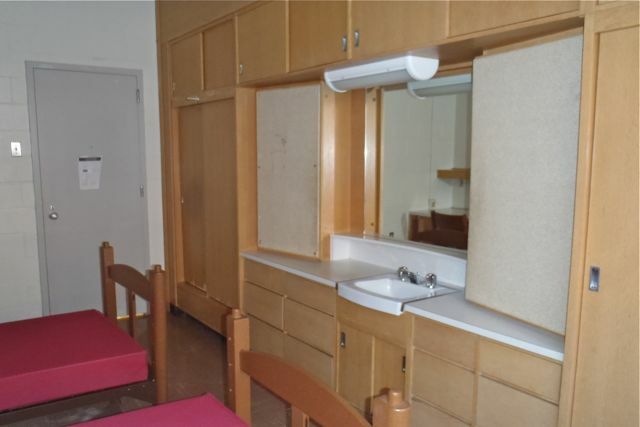 She calls it a "dash of the drill sergeant." Indeed, it is a reminder of what every pilot and squad leader already knows, and what every writer should remember: Pre-combat checklists work. As important as these tools and insights are, however, it is Rowdy who unlocks for me an unexpected and recurring theme. As important as all the frisson and friction, the interconnection and shared "up with veterans" experience, is the quiet consideration of the spaces in-between. In Ron Capps' class on dialogue, the question is: "What's not being said?" In Ami Blue's class on deep-reading poetry, the question becomes: "What's missing?" In a discussion regarding art therapy, the presenter asks: "Who or what is not in the picture?" "People here need to realize they're not in the military anymore ..." says Rowdy. "They can give themselves space and time, if they need it." In a place like this, every conversation is a gift, meant to be opened.